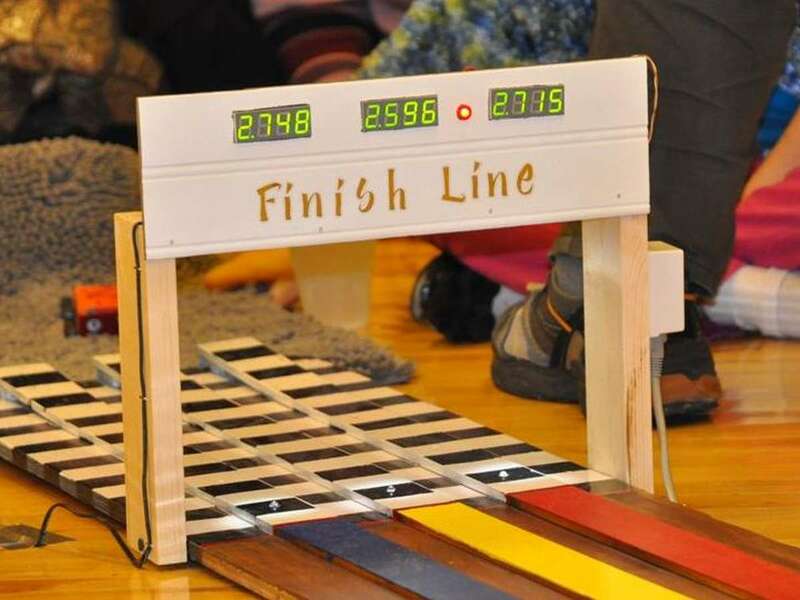 This page showcases different timer builds by cub scout packs, individuals or other groups. 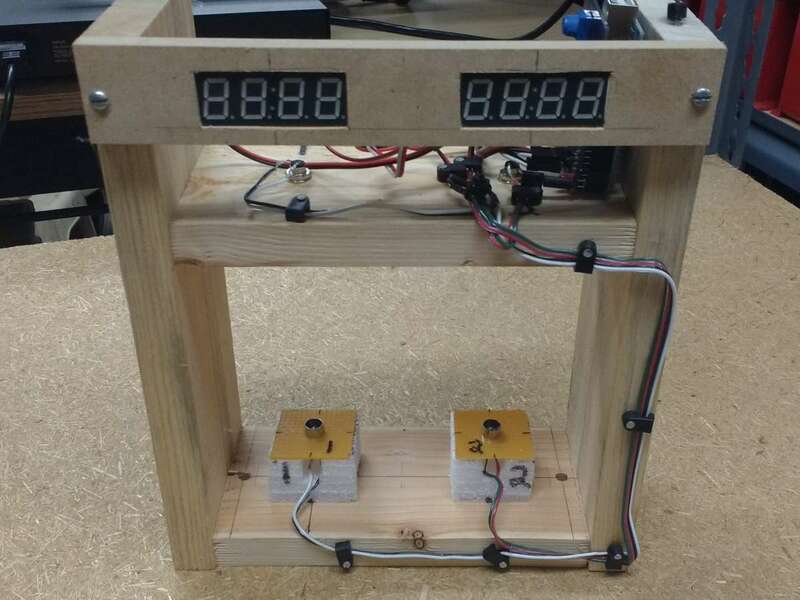 These timer designs can be used as a starting point for your own build or at least give you some ideas. Click on the picture to see the full gallery for each timer. If you would like to have your build added to this page please email a few photos, your pack information (number and area) and any additional information you would like to share to the contact email. 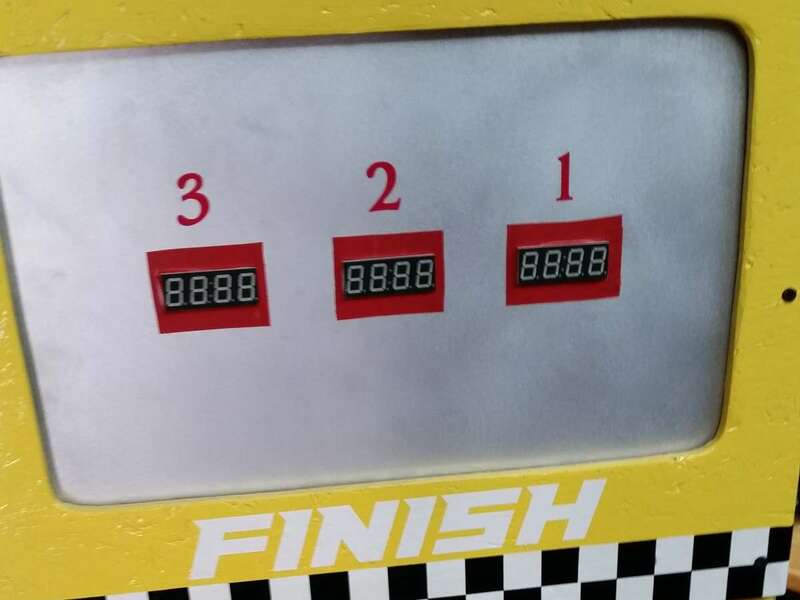 The lights/detectors are projected/placed in front of the timer which gives the audience an unobstructed view of the finish line. 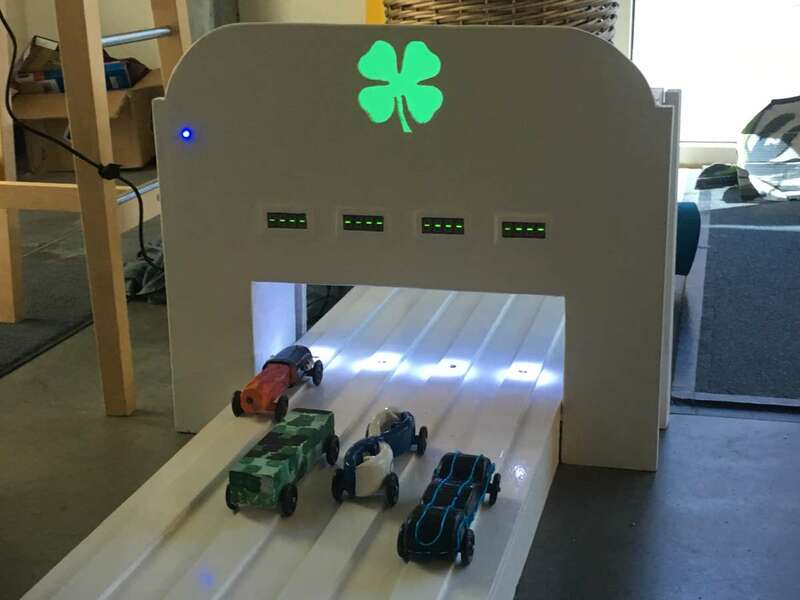 A clever track design and two sets of (selectable) lights & detectors allows for either Pinewood Derby (on the rails) or Hot Wheels (between the rails) racing. 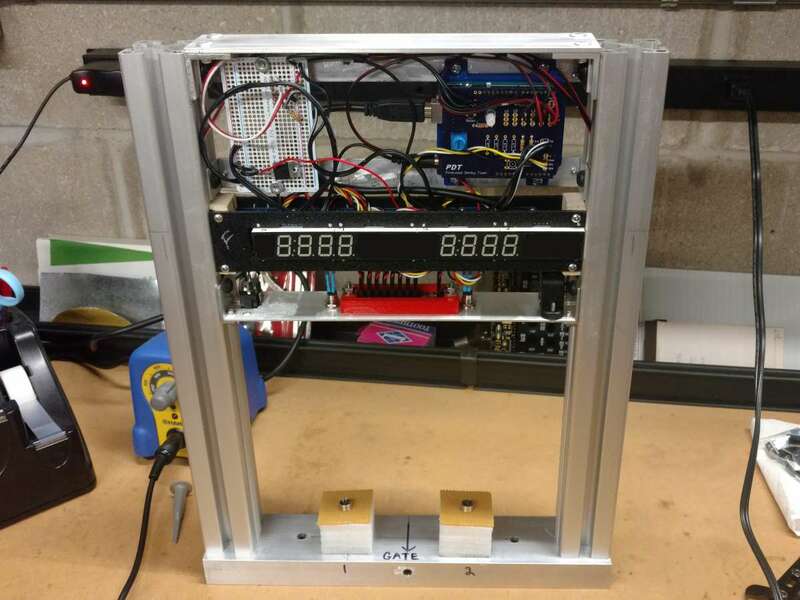 The bridge design allows the timer's electonics to be easily accessed. This 3 lane PDT features a colorful finish lane. 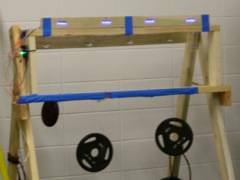 This science experiment apparatus built by Mechanical Engineering students utilizes a PDT to help demonstrate forces and motion experiments to local 2nd graders. 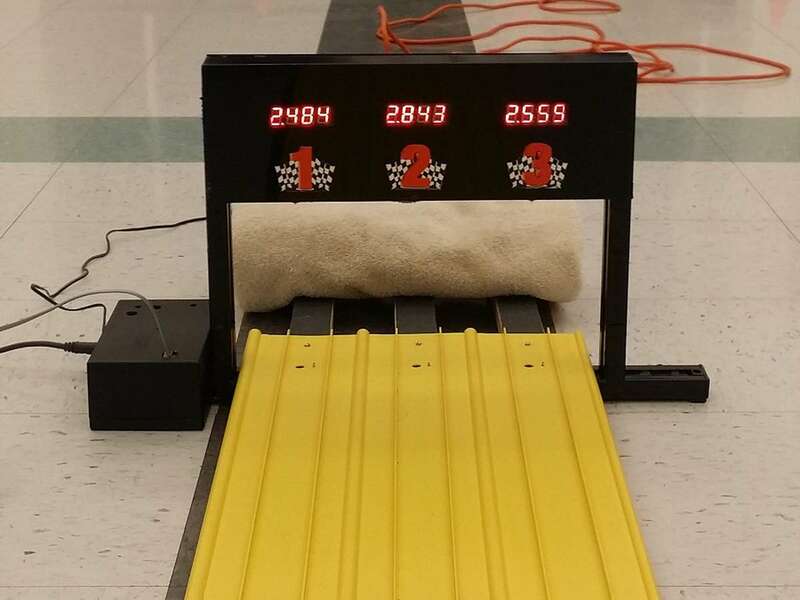 They are shown the effects of weight (heavy or light blocks), friction (smooth or sandpaper blocks) and the height of ramps on the time taken for the blocks to reach the bottom of the ramp. 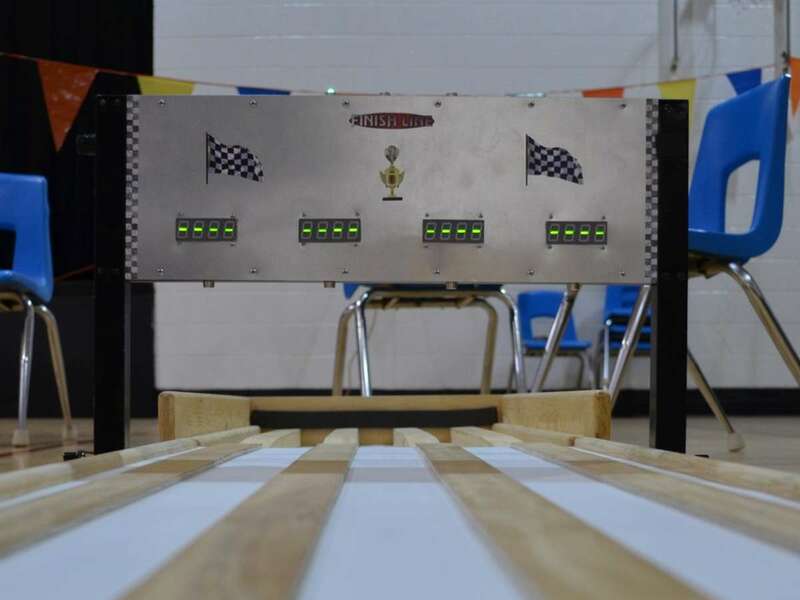 On October 15, 2016 the record for the World's longest Pinewood Derby track was set in Ashland, NE by the Boy Scouts Mid-America Council. 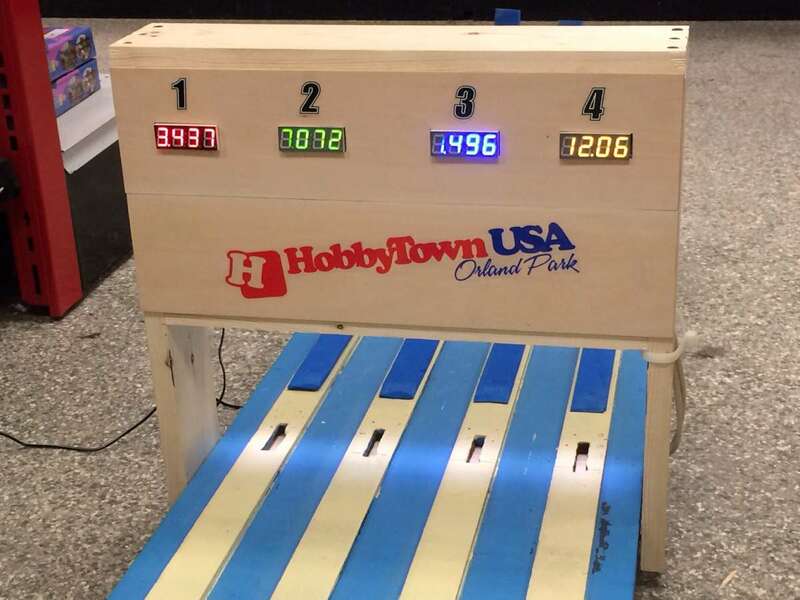 The track was 1,819' 3.75" (554.5m) long and utilized a PDT to time the runs. 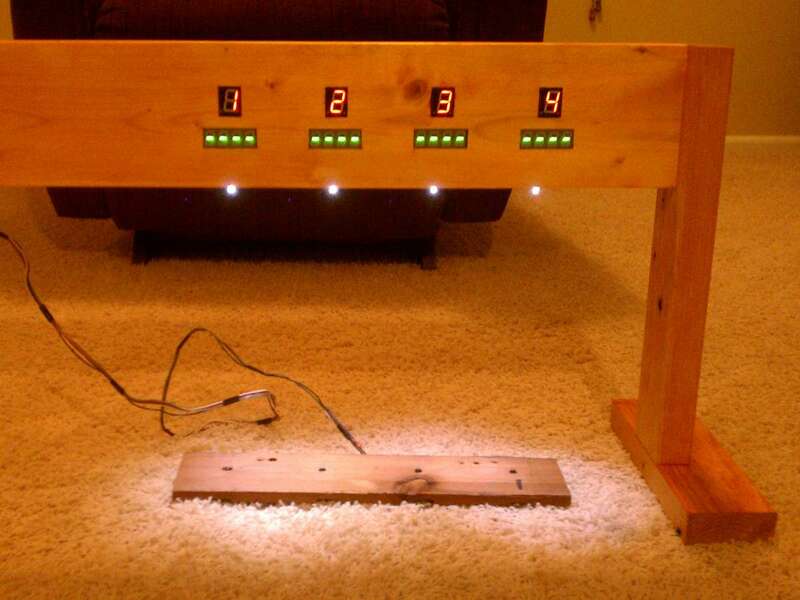 A 3 lane Pinewood Derby timer. 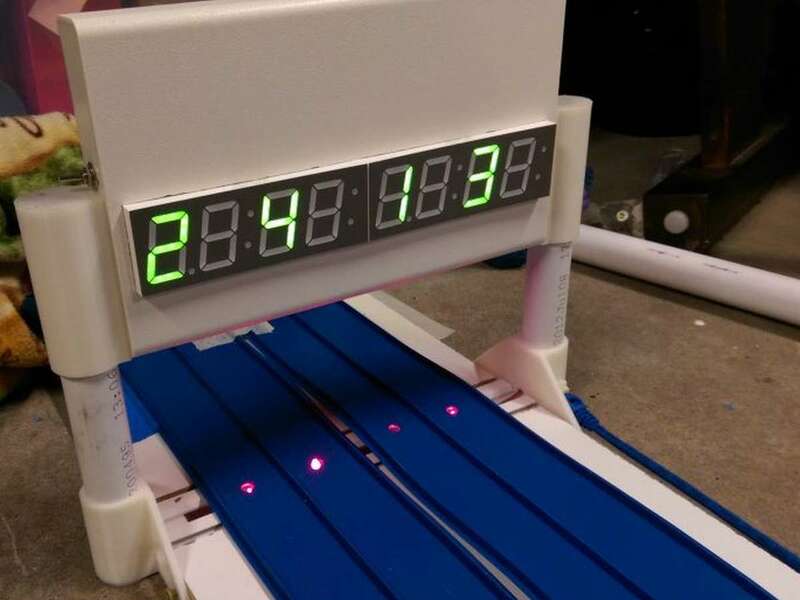 A 4 lane Pinewood Derby timer built as a 4H project. This 3 lane PDT features place/time displays on both sides. This 4 lane PDT features a nice design and display colors matching the lane colors. This 4 lane PDT features a clever design. 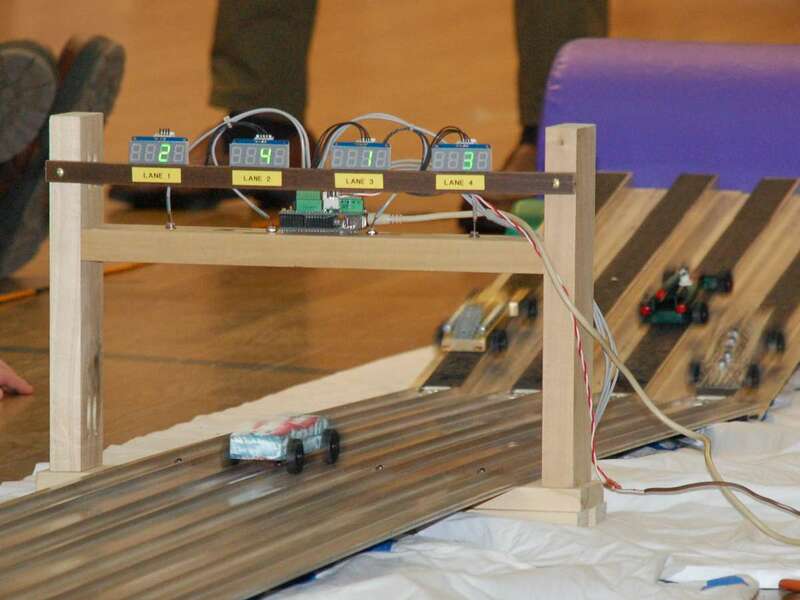 This PDT was adapted to time Space Derby races. 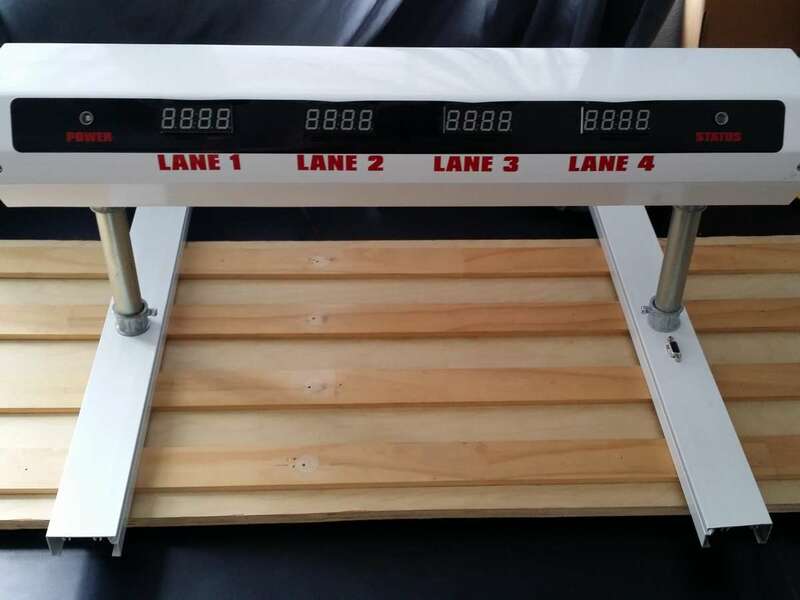 A 4 lane Pinewood Derby timer built for races sponsored by the store. 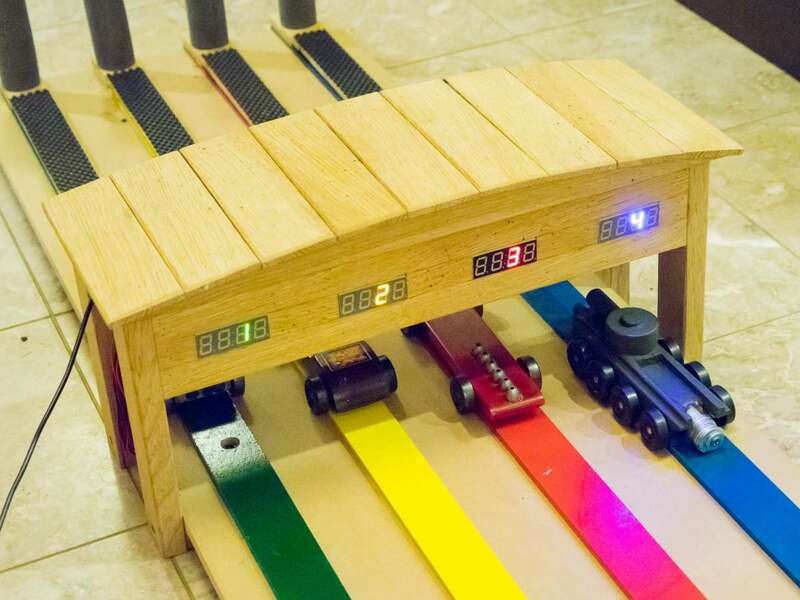 A gorgeous 5 lane Pinewood Derby timer and track made out of wood. 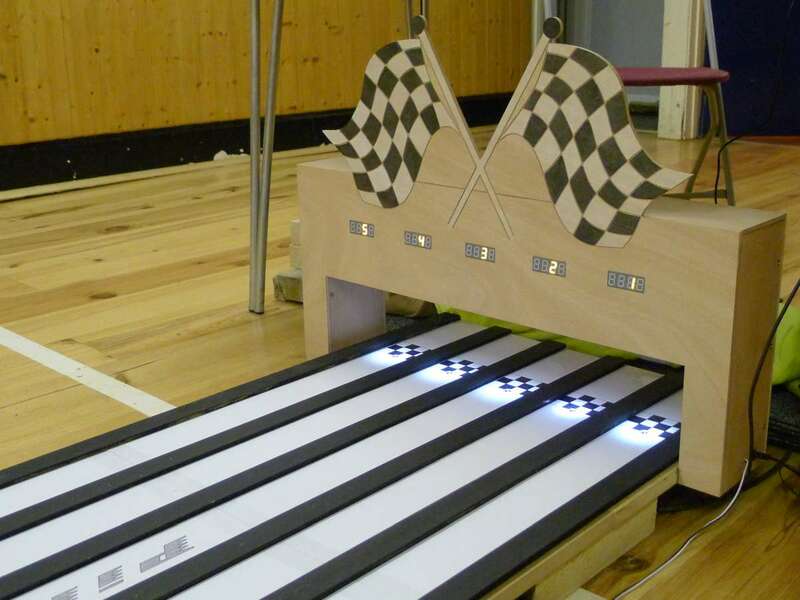 This home test track utilizes multiple sensors on one lane to fine tune a car's performance through the entire race. 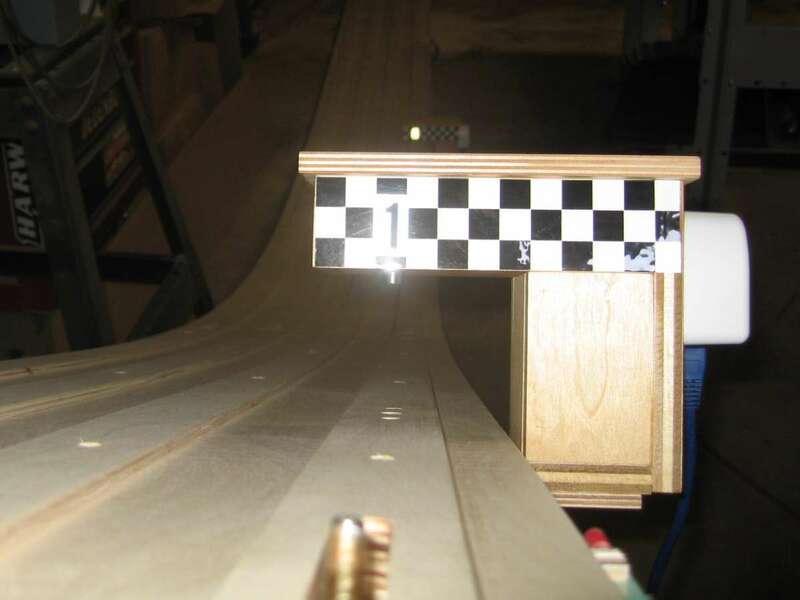 A 4 lane Pinewood Derby timer. 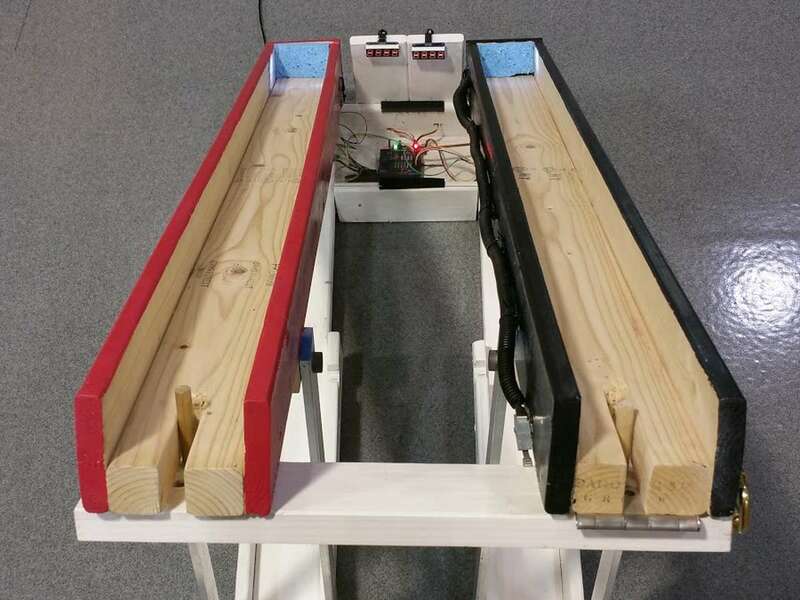 A 4 lane Pinewood Derby which utilizes an Arduino Micro controller. 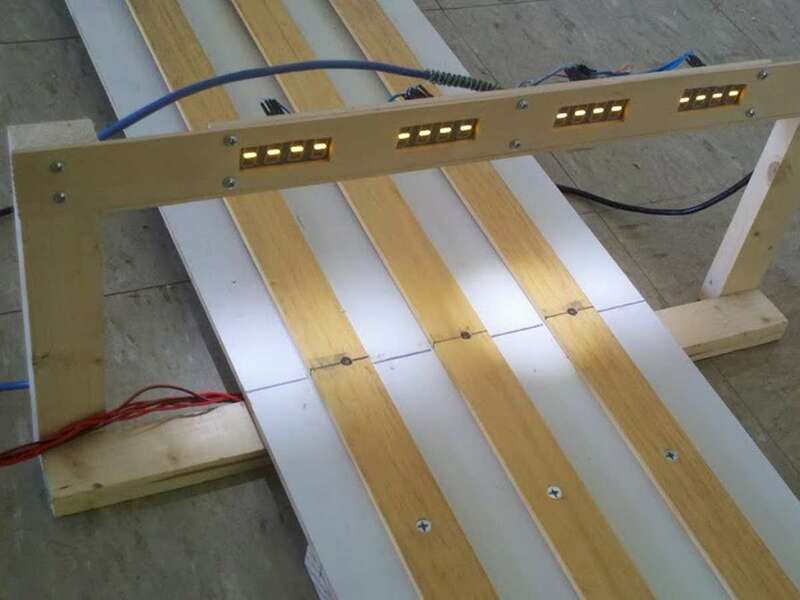 The first 2 lane PDT built for our home test track along with a few iterations of the testing rig I use for development and testing.